Recreating this costume idea was easier than I expected. For the shaggy outfit, Giovanni already had those khaki pants so all I needed for him was a green t-shirt which I found at JCPenny for only five dollars. I looked for an image of the collar online and started cutting pieces according to what I needed. I used the blue felt to cut out two 1 inch strips and one small diamond shape to fit on top of the yellow diamond shape I cut. 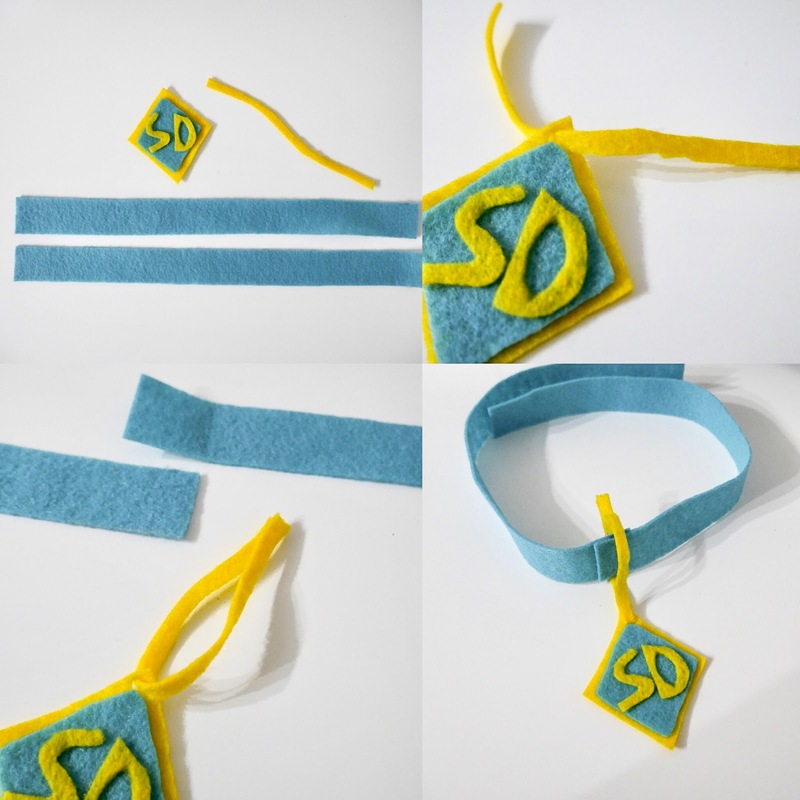 I then cut out a very thin strip off the yellow felt to create a ring. Then just free cut the letters and glue everything together. (I did not glue the collar together until the day my son wore it because you need to make sure its loose enough not to be uncomfortable and I simply cut it off after he was done wearing it) You can always add a piece of velcro at the end for more use but I knew he would only wear it once so I chose not to do so. 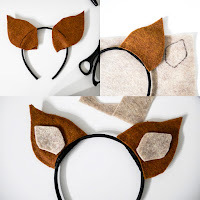 The ears were just as simple to make as the collar. As you can see below I placed the cat ears on the felt and traced a shape that I thought was appropriate for Scooby's ears then cut out two pieces per ear. I placed one on top and one below and glued the front and back pieces together. Then I traced a smaller piece on the beige felt to go in the middle of the ear and voila, you have a dog headband! I ended up making them a prop of the Mystery Machine which in my opinion tied the whole costume together. You don't have to make one but if you decide to all you need is a foam board (dollar tree), paint, and an x-acto knife to cut out the window. I only had to buy the board because I had everything else. However if you choose to make it paint should only cost you about four dollars for the colors you need. I drew the design on the board with a pencil and then painted each section. If you decide to recreate this costume idea I'd love to see how it turned out so make sure to tag me on Instagram here! I understood when you said the ears were just as simple to make as the collar because i tried it once. So freaking cute!!! So funny me and my friends were actually planning doing scoopy doo crew this year for Halloween! 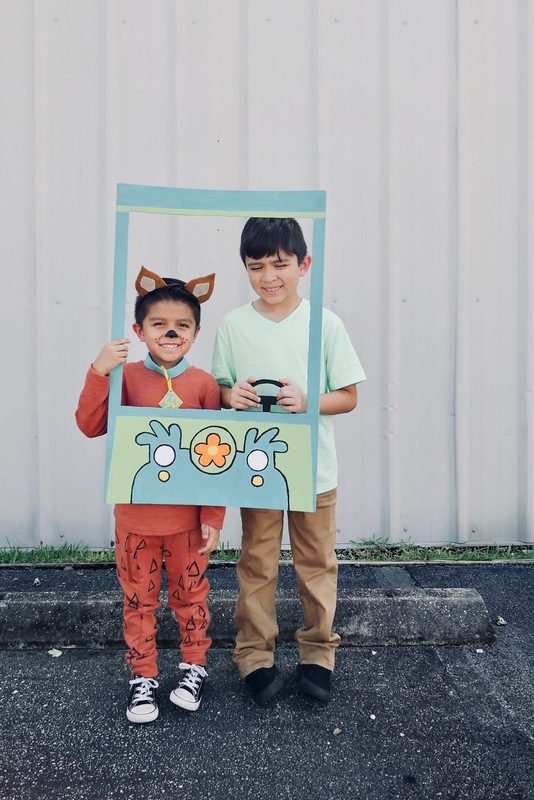 These scooby and shaggy costumes are too cute! Ironically, my daughter was asking about doing a family scooby costume this year so this is perfect! What a creative costume idea! I love making homemade costumes - sometimes we already have most items for them, other times we go to Value Village or another second hand store to get ideas! 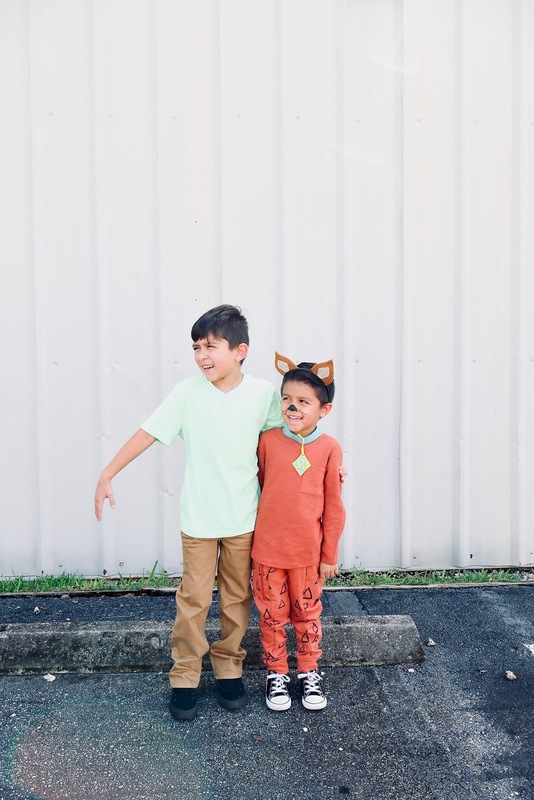 Oh my gosh, what cute costumes! I love how they turned out. And they are easy to make! You boys are so cute. This is a great idea for a costume. They look so adorable. 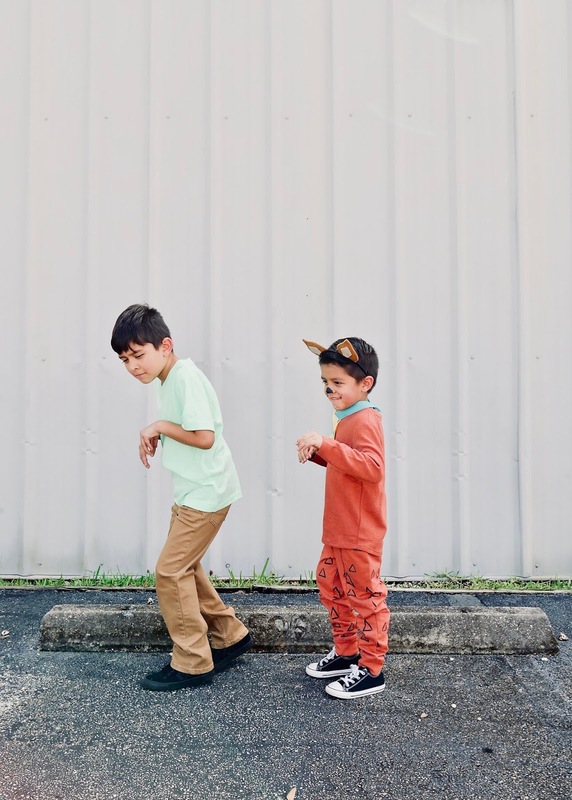 I don't have kids but I love these outfits and ideas. I am pretty sure that they would rock it on halloween. I love DIY things as well. 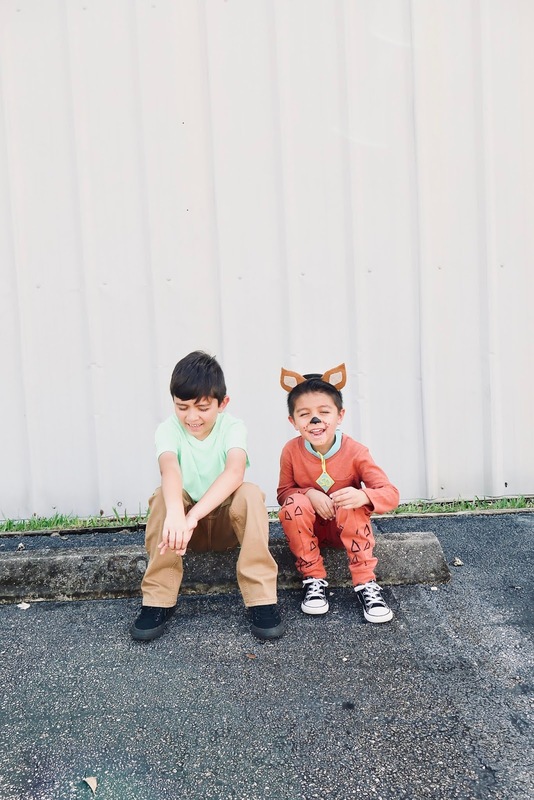 Your boys are so adorable in their costumes. 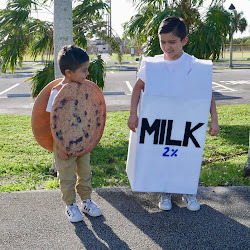 This costume idea is super cute. I will be doing a few DIY costumes for my kids this year. 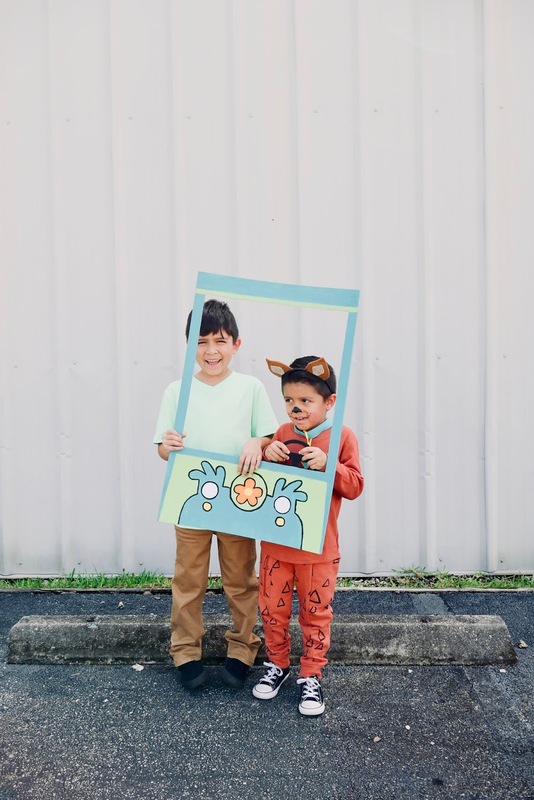 This looks super cute outfits both kids are looking super cute in this Scooby Doo outfit. We are also looking for something like this. We have another option of Tom and Jerry. This is a great idea and can be used by parents for their kids. 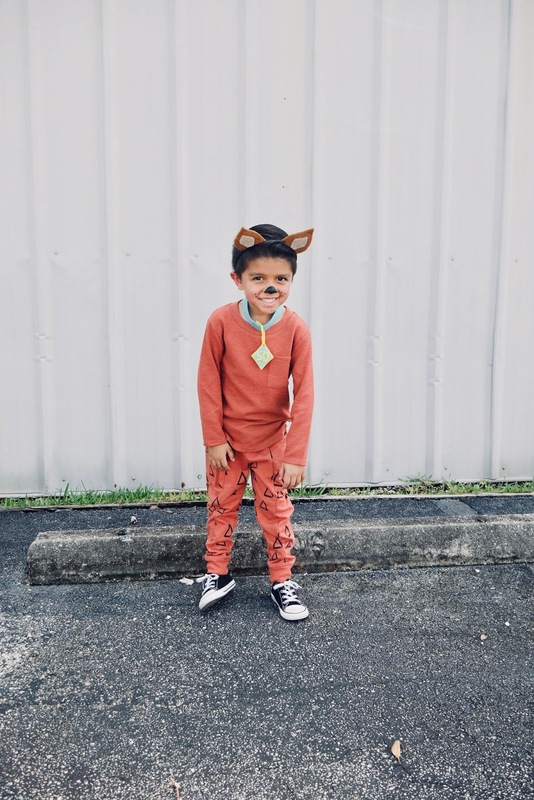 I always love creating personal costumes for my kids and always loved when others shared their ideas. I can't believe Halloween is right around the corner! These costumes are just adorable! These halloween costumes are so cute and practical! No need to buy a new one if you can make it. It is so much fun to watch the creative genius in children at plan, especially as they are creating costumes. cute kids & good post.